Hasyudeen: Why Not Prove Yourselves? Many of the accountants who played critical role in moving Malaysia to where it is now were the alumni of the Colombo Plan. Many were sent to universities such as in Australia to pursue the Chartered Accountancy programme. Many returned and then got involved with many institutions which became the foundation of our modern economy. Since then, pursuing professional accountancy qualifications became a second nature for Malaysians who wish to build their career in accountancy. Malaysians went abroad to countries such as UK, Canada and New Zealand because of the limited opportunities available in Malaysia. Many were financed by the sweat and tears of their parents who sacrificed for the future of their young flesh and blood. Notwithstanding the perceived difficulties of the professional programmes, many saw these programmes as the key to better lives. 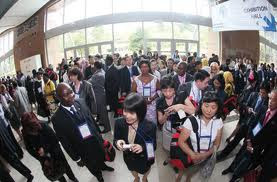 Later, many of the Commonwealth-based professional accountancy qualifications were introduced and offered in Malaysia. This opened opportunities for many more Malaysians to be professionally qualified and provided them with more choices in their career progression. Accountancy had certainly contributed significantly to the talents that were required to modernise Malaysia. Given the demand for more accountants, many Malaysian universities started to offer accounting programmes. This was pioneered by Universiti Malaysia (UM), the oldest university in Malaysia. To ensure we get the context right, the best students those days went to UM, the rest went abroad to pursue their education. Given this background, it was not a surprise that when the first batch of the UM accounting programme graduated around 1973, there was a dilemma. Should they be treated as professionals or should they be required to pursue professional qualifications? 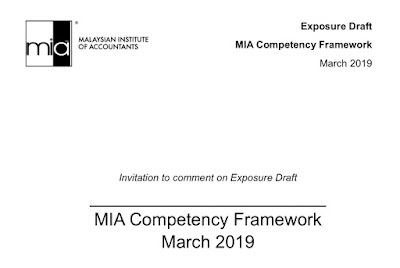 The wisdom then was to recognise the qualification to enable the holder to register themselves as accountants with the Malaysian Institute of Accountants. Since then, more degree programmes were recognised by MIA. There were two types of registration then, Registered Accountants and Public Accountants. When the Accountants Act, 1967 was amended in 2000, MIA combined its designation into a single designation, Chartered Accountants. While the philosophy of this status remained unchanged, to signify that the person is registered with MIA, many perceived this as a prestigious qualification, similar to those obtained in England, Australia and other institutes of Chartered Accountants, notwithstanding that the local Malaysian graduates obtained the designation without any competency assessment, unlike to with similar designation elsewhere. Is the designation Chartered Accountant accorded by MIA really carries a person far in his or her accountancy career? I have no answer to that question but as an indicator we could analyse how many of them (those without professional accountancy qualification in addition to their accounting degree) are holding positions at the top 100 companies listed on Bursa Malaysia? They answer will certainly address the question on whether an accounting student need to prove their competency via a process recognised by the market. Somehow in Malaysia, we always rely on legal solution to solve our problems. 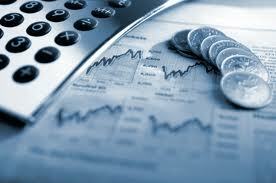 In the case of accountancy, there is a different between a legal recognition and market recognition. A good and competent accounting graduate will be legally recognised at the point he or she registers himself or herself with MIA. However, if the person does not posses a qualification recognised by the market, the person may not be given the opportunity to progress beyond certain level if those making decisions are not confident enough of the person's competency. What more when there is no challenge process at the registration stage at MIA. This will certainly create the perception of "quality" based on the lowest common denominator among the untested crowd. We need more qualified and competent accountants to move up the value chain. This requires many more accounting graduates to pursue professional accounting qualification, whichever they are, as long as they are recognised by the market. Market recognition comes from consistent baseline performance of the holders over time. No amount of law will be able to shape market recognition, full stop. If an accounting graduate shy away from this reality, he or she is risking his or her own future and the opportunity to be significantly involved in nation building. Can They Deliver What They Promise?